Buy Irish Food. Support Irish food producers. 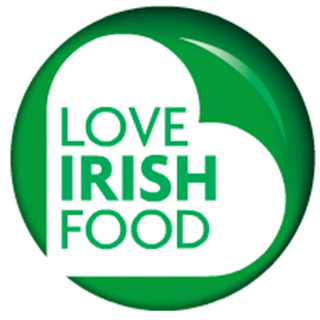 Irish Forums Message Discussion :: Buy Irish Food. Support Irish food producers. Irish Forums :: The Irish Message Forums- Sceala Irish Craic Forum- Buy Irish Food. Support Irish food producers. Sceala Irish Craic Forum Discussion: Buy Irish Food. Support Irish food producers. Hope you are all watching Philip Boucher - What�s Ireland Eating? If you do not support Irish food producers, Ireland will not be worth living in. Buy Irish produce as often as you can. Ask your local TD and politicians to campaign for legislation on supermarkets, forcing them to source locally. Such laws are a success for all parties concerned in many parts of Europe. The Irish supermarkets make too much profits here. Ireland is reported as being the second most profitable market in the world for the British Tesco group, only South Korea is a more naive market for Tesco. They should not be allowed to make such profits and at the same time place economic pressure on Irish producers. Competition is needed to raise standards and consumer choice. But, Irish food producers should not have to compete with cheaper because they are inferior products. This is the dangerous reality for the consumer in Ireland. Currently the Irish consumer is being encouraged by price, to buy low quality, antibiotic pumped chicken or other meats, imported in from unregulated countries. These imports are unfair and encourage unnecessary health risks to the consumer. Foreign food Importers, especially meat importers, have it far too easy getting their cheaper but inferior products into Ireland. Just like our failed banks, food imports are unregulated and out of control. Foreign food importers are not subject to anything like the hygiene and health food regulations and standards that Irish producers are proud of. The next time you intend to buy a take out or sandwich in any high street in Ireland, just ask them where they source their Chicken or beef. Brazil and Holland is probably the answer. Do you know what you are really eating? Journalist and consumer champion Philip Boucher Hayes casts a cold eye on Irish eating and shopping habits. To get to the heart of what Ireland�s eating in 2011, he will examine some of Ireland�s most popular foodstuffs, as revealed in a nationwide survey, to reveal some shocking facts about the food we eat: where it�s coming from, what it�s doing to us and, critically, what it�s doing to our economy. Help stop the likes of Tesco and Dunnes (forget their idle boast they are Irish) making obscene profits on our backs. They are making very high profits and they are putting Irish people out of work. For every person employed by one of these giant super markets, within 2 to 3 years- at least 1.5 people are made redundant locally. And bravo to the poster who asked people to make sure the produce was from the Republic of Ireland. Dunnes sell milk as Irish, much of it is imported in from Northern Ireland. We might want a united Ireland, but the fact is all the tax and profits from NI produce goes to the UK. Buy Irish, support Irish farmers, Irish producers, Irish families. Sometimes buying Irish food means paying a small premium, it is worth it and in several ways. You simply can not buy fresh good Irish produce as cheaply as some imported foods of uncertain quality. Imported foods produced by slave labour economics in Thailand and Brazil, should not be encouraged or copied by Ireland. Imported foods, especially meats, are often stale but can be disguised as fresh with chemicals and preservatives. Imported foods are produced from God knows where, under unknown standards and regulations. You the ordinary Irish consumer will have little chance of ever knowing for certain how any imported foods are produced. Especially foods produced outside the EU, but many inside the EU. Ireland has very strict food production standards, a honest and open industry. Most of the EU in my experience is a unknown quantity for food standards. Irish foods are not expensive. Local and fresh foods are usually very good value and worth the small extra cost. Your community depends on your care. Stop the destruction of Ireland, buy local, buy Irish. Try and watch it on RTE live player. In an RT� season of radio and television documentaries, through poetry and music - live and broadcast, Heart|Land (8-15 May) rejoices in the land and the landscape of Ireland and explores rural life in the 21st Century. In this new documentary Journalist Philip Boucher Hayes takes a look inside Ireland's shopping basket. Armed with information from a national nutrition survey and data from 3,000 households' food shopping receipts, Philip Boucher Hayes argues that we are damaging our health, our economy and our society by what we eat and the way we shop. He believes that a lot of the food we eat is far removed from its origins. It is highly processed and globally produced - and this is neither healthy nor economic good sense. He delves into a number of Ireland's most popular foodstuffs, from chicken to processed pork, and reveals some unsavoury truths about where they come from and what they're doing to our health. Boucher Hayes discusses how we have been weaned on to a diet of cheap food and the competition between retailers to hold market share is putting serious pressure on many of those that supply our food. He argues that greater regulation is needed to ensure that the food sector doesn't go the way of the banking sector.